On January 9, 2018, more than 200 full-time master’s (FTM) students attended the SDG Exchange Day at Antwerp Management School. With the SDG Exchange day, AMS aimed to create sustainable mindsets among the FTM students. Dirk Jacxsens, CEO of Libeert, kickstarted the day by inspiring the students, explaining how he incorporates sustainable transformation in the family-owned company Libeert. By focusing on strategic pillars such as a winning portfolio, operational excellence and well-targeted growth, as well as strategic enablers such as relevant innovation, trustworthy partners and strict financial discipline, he explained the importance of defining the ‘why-how-what’ question. The keynote kindly treated all attendees to Some Damn Good (SDG) chocolates! Following the keynote session, SDG Student Ambassadors got the opportunity to pitch their projects. 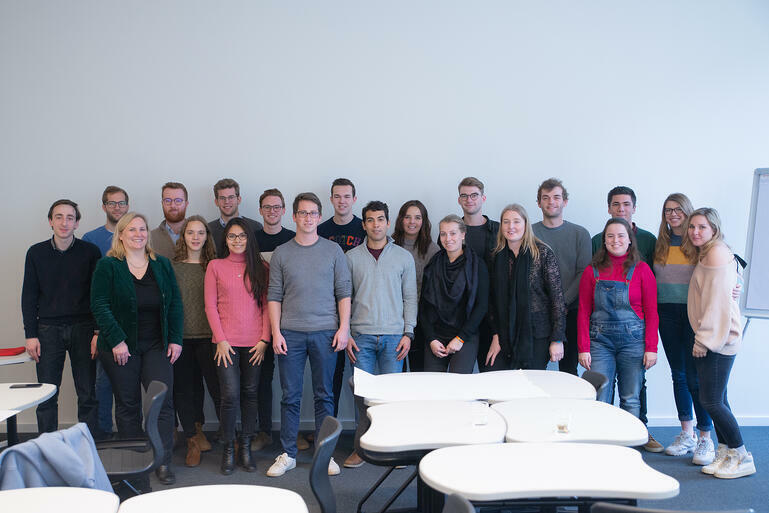 Around 20 student groups voluntarily organize SDG projects such as an SDG Quiz, a city run, plastic-free beach, crowdfunding campaign for the Ocean Clean Up, compost natural fertiliser for plants, a closet sale, the Antwerp meets Sustainability blog, and many more. After a short break, the students were divided into 7 groups to learn more about sustainability approaches within companies and how they are dealing with challenges linked with the SDGs. Aron Wils, Corporate Affairs Officer at Samsung Electronics, challenged the participants with the question How can Samsung convince consumers to hand in their phone? Belgian households have more than 3 million non-used phones lying in the cupboard. How can Samsung play a role in dealing with this? How can Samsung create a sustainable circular business model for mobile devices without losing insights and brand trust? Students came up with great ideas on how to reuse, refurbish, and recycle through trading, leasing, or working with a loyalty system. 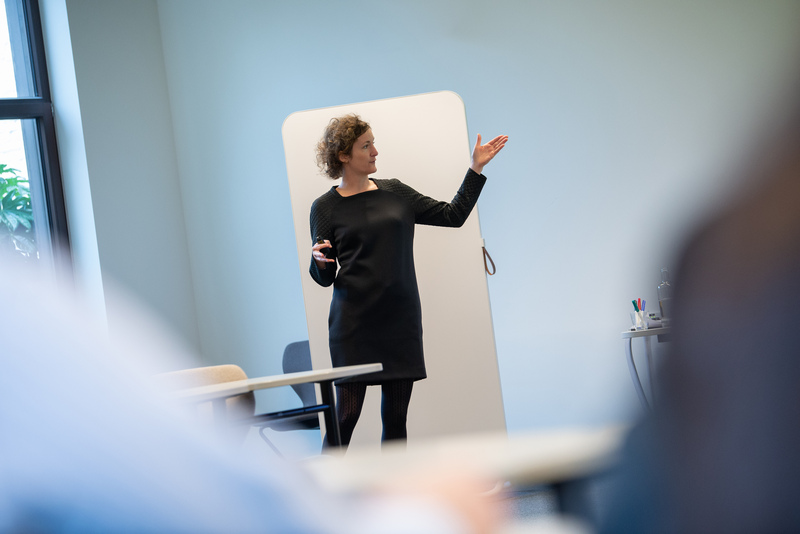 During the workshop of BASF Antwerp, Lut Vande Velde, Head Corporate Communications and Governmental Affairs, challenged the students to come up with innovative ideas on how to transfer the ‘sustainability’ message to all employees in the company. The students presented a lot of ideas to create awareness, through a contest, pop-up videos, lunch box messages, etc. 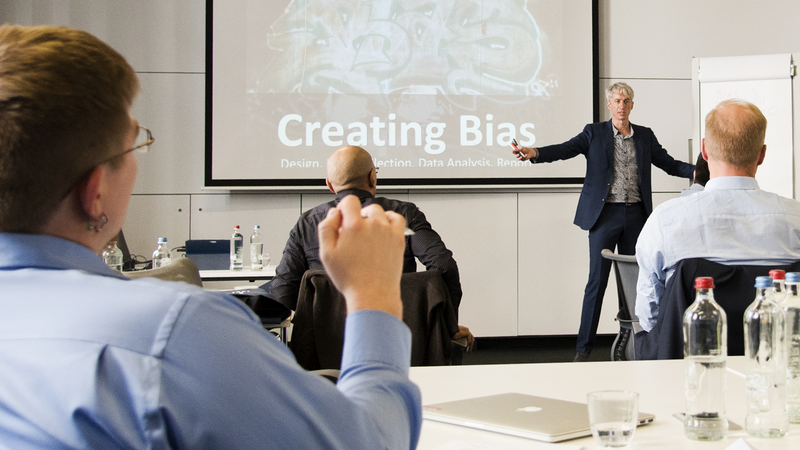 After presenting the facts and figures of Randstad Belgium, Philippe Stulens, Marketing Director, challenged the students with some questions. This way, he hopes in future students will ask themselves: What’s the purpose of my company and how does it impact the employees’ wellbeing? 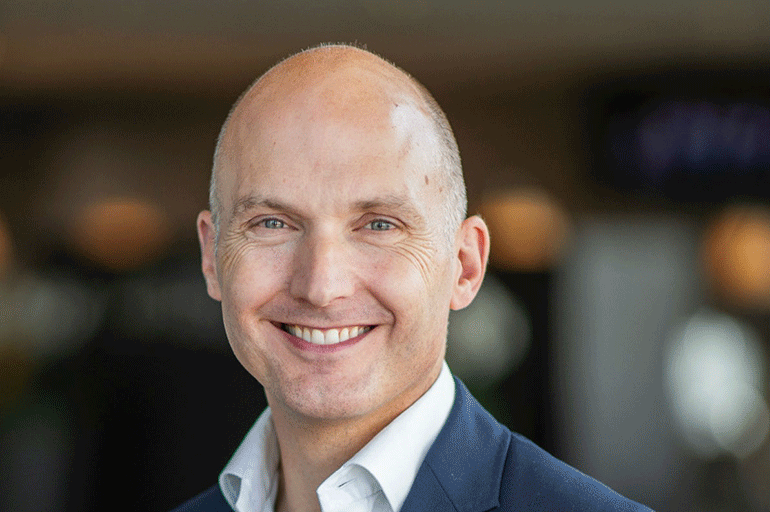 Do we invest enough (money, time, genuine interest…) in connecting people with purpose, strategy, decisions…? Is HR management driving sustainability? And do I walk the talk? 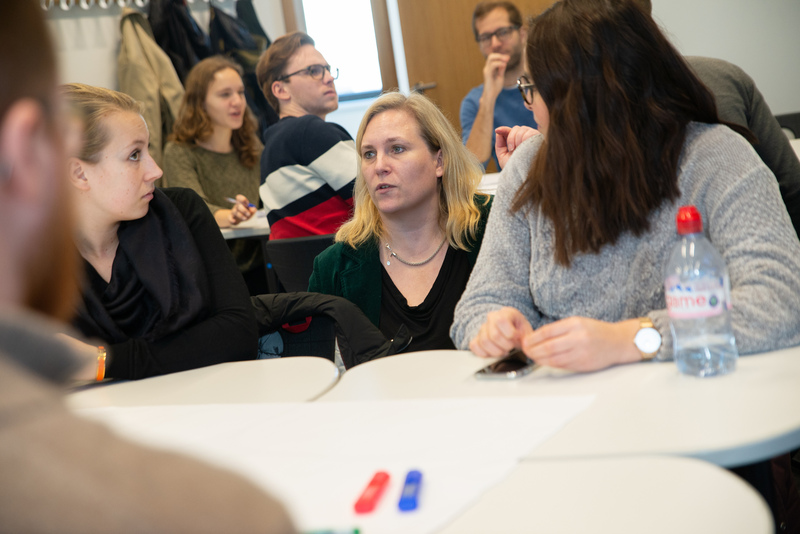 For Johnson & Johnson Benelux, Peggy Van Casteren, Community Impact Manager, and Bert Verstappen, Senior Expert Environment & Sustainability, asked the students what they think a healthcare company’s responsibility is related to the SDGs. What does progress look like? And what is the best way to communicate on this progress? Students elaborated on these questions in several groups and presented their thoughts for the group. Rowena Arzt, Director Exhibition at WZF (Wirtschaftsgemeinschaft Zoologischer Fachbetriebe) presented the current status of the pet supplies industry with regard to sustainability, and what sustainability means for the actors within the pet supplies industry. Students worked in groups on the question: what are the best ways for stakeholders to contribute to sustainable development? 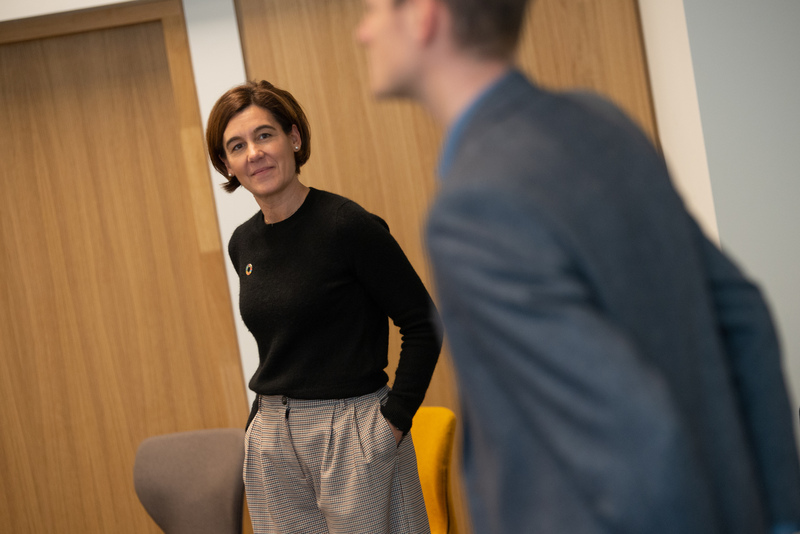 During the workshop of AXA Belgium, Dina Iosifidis, Corporate Responsibility and Affairs Manager, challenged the students to bring the Corporate Responsibility approach in line with the SDGs. The students elaborated on the opportunities for an insurance company to align with the SDGs. 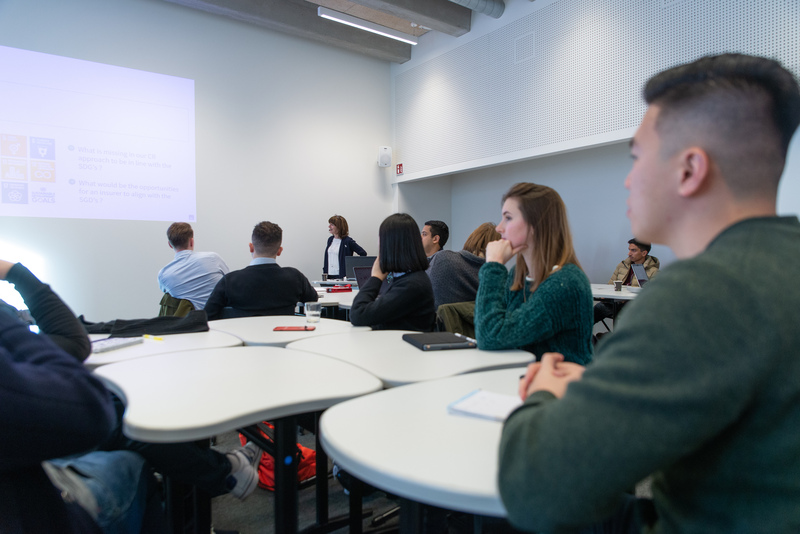 With just 12 years to go to fulfil the ambitious 17 Sustainable Development Goals, AMS students learned about the trends, challenges and opportunities these Global Goals bring. To end the SDG Exchange Day, Liliana Lizarazo Rodríguez from Antwerp University presented the Human Rights Business Toolbox. This toolbox aims to provide an accessible and user-friendly set of tools to guide organizations and their stakeholders in their human rights duties in the context of their activities. 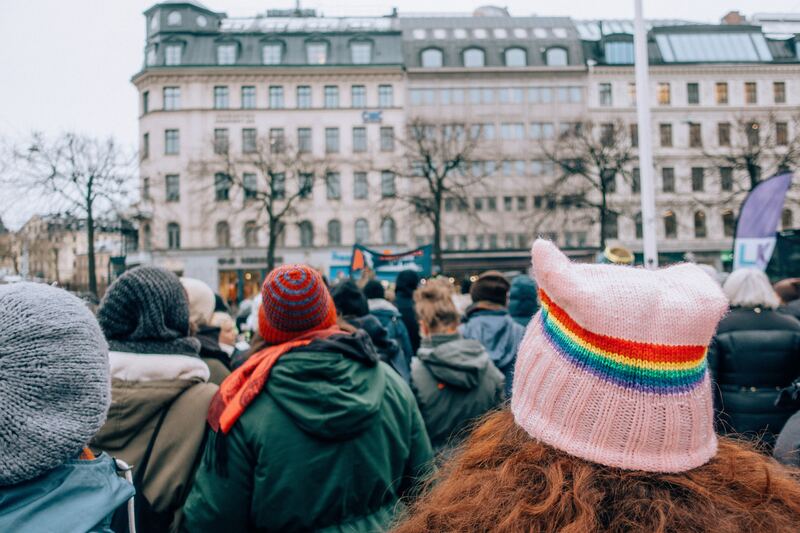 Although human rights are never explicitly mentioned in the SDGs, the emphasis on equality and the commitment to “leave no one behind” mirrors key human rights principles. Through the tool, you can test your knowledge. The consolidated result will give an idea of the organization’s current level of knowledge about implementing human rights compliance mechanisms. AMS continues the Sustainable Transformation Journey!